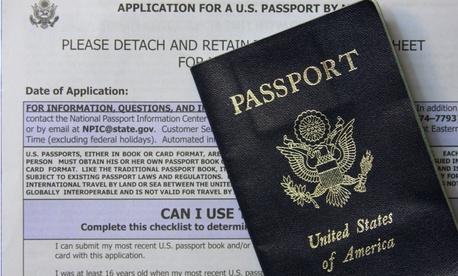 Five years after the first complaints, managers at the State Department’s National Passport Center have still not adequately responded to employees who claimed to be victims of racial or sexual “harassment, ‘bullying,’ a lack of trust in leadership, favoritism, abusive behavior to employees, improper hiring procedures, and an overall lack of transparency,” a watchdog has found. “A sustained failure of leadership fostered a culture at NPC where inappropriate conduct was permitted and employees were not held accountable for that conduct,” the department’s inspector general said in a report released last week based on a staff survey and 188 interviews. The managers of the 900 employees at the Portsmouth, N.H., facility “did not comply with the department’s leadership principles or with basic leadership tenets for establishing and maintaining a respectful work environment for all employees,” the report said. The facility set up in 1992 to handle a surge in passport applications is the largest of 29 passport centers, having issued 7.4 million passports in fiscal 2017, or 38 percent of the government’s total. Little progress had been made since a 2014 review of some issues, the IG said, having found “no evidence” that senior managers had monitored the situation after 2016 to determine whether the two years of coaching and training put in place after the first complaints had been effective. Management’s continued tolerance of the behavior violates the State Department’s Leadership and Management Principles for Department Employees as well as the Bureau of Consular Affairs’ Leadership Tenets, the IG noted. The watchdog made 12 recommendations, including that Consular Affairs develop a corrective action plan within 60 calendar days. The IG also recommended that the bureau more deeply investigate the situation and examine the center’s organizational structure and hourly pay system. Leaders should also “assess the skills, knowledge, abilities, and conduct of the National Passport Center’s current senior and mid-level management staff to determine whether they should remain in their positions,” the watchdog advised. The bureau agreed with all 12 recommendations.